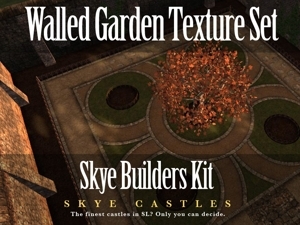 This set contains all the textures you need to create a walled garden. Seamless 512 × 512px and 512 × 1024px. These concentrate mainly on structural element (rather than plants). 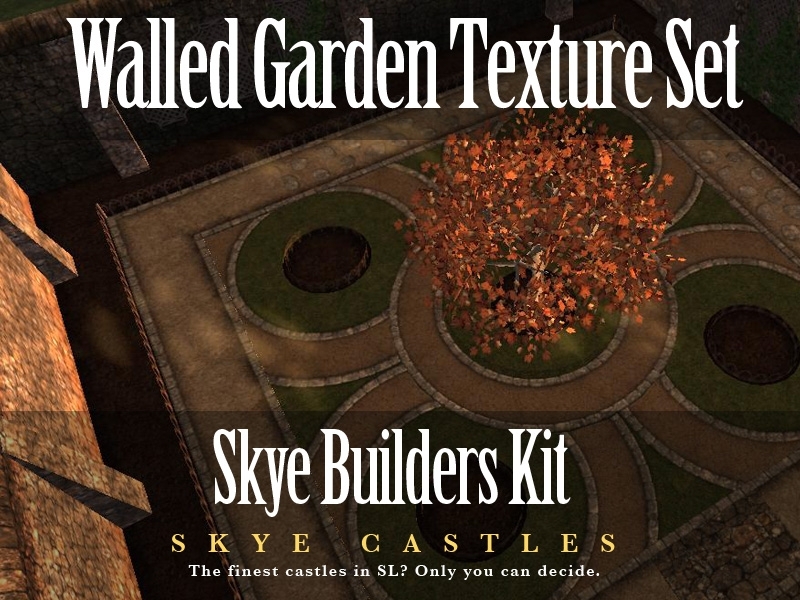 My aim is to give you a texture set which give you lots of options over the more intricate variations required when building a quality product. Paths and grass and some variations of the stone designed to work as ground stone. Also, I have included a bonus sculpted arch prim which fits the gate textures.